New research has revealed a link between a stress gene in cells of the immune system and the spread of cancer. Scientists believe that a gene in immune system cells known as ATF3 may be the vital link between stress and cancer spreading. One of the most dangerous aspects of many forms of cancer is its aggressive ability to spread to the other parts of the body - a phenomenon known in scientific spheres as metastasis. 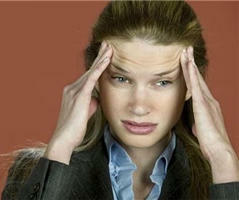 Previous studies had suggested that stress was a risk factor for cancer. However, this new research published in the Journal of Clinical Investigation provides concrete evidence about how exactly the two interact - namely, by the ATF3 stress gene facilitating the spread of the potentially fatal disease. When the body is exposed to a stressful environment, ATF3 is expressed as a natural response. This is because it will cause cells damaged beyond repair by the stressor to 'commit suicide'. However, this study shows that cancerous cells have the ability to encourage immune cells to produce ATF3, which then cause the cells to act out of character and facilitate a pathway for the cancer to 'escape' the site and spread to other areas of the body. Lead author Tsonwin Hai, professor of molecular and cellular biochemistry at The Ohio State University, said that, as a result of this knowledge, ATF3 may therefore serve as a target for drugs in the future, depending on the outcomes of further investigations. She added: "If your body does not help cancer cells, they cannot spread as far." Those conscious of keeping their body as fighting fit as possible might be interested in taking a supplement to boost their general health and help to keep their immune system as strong as it possibly can be. Biobran, available from Really Healthy, is in fact one of the most effective formulas on the health food market for maintaining a strong and healthy immune system, with its unique blend of hemicellulose nutrients such as arabinoxylan, short chain polysaccharides and hemicellulose compounds. Such complexes help the body to capitalise on its natural ability to fight off illnesses and diseases, by supporting the white blood cells which help to protect us from them.